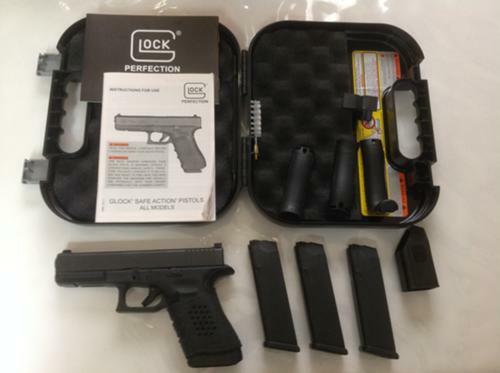 For Sale: Glock 22 gen 4. Trijicon HD night sights,3 mags,pacmeyer rubber grip sleeve,grip end dust plug,4 back straps,original box with mag loader,cleaning rod and booklet. Very well kept. About 500 rounds fired through it. Excellent condition.